(An exact match to the Smith & Warren® custom Bugles Across America Breast Badge) (Rhodium Finish with screwback option) - Lifetime Warranty !Smith & Warren® was founded in 1925. 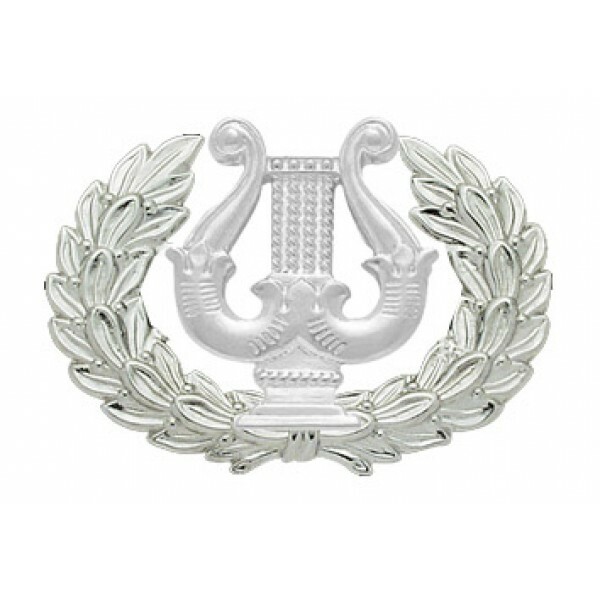 In 1995 Smith & Warren® acquired EKS/Apollo, a badge and military insignia manufacturer. 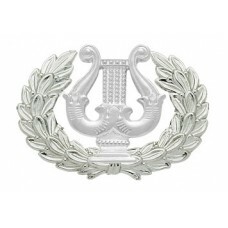 In 1999 Smith & Warren® acquired Everson Ross, a leading badge manufacturer established in 1897. Then in 2003 Smith & Warren® acquired Buchlein Badge Company, a badge manufacturer established in the 1800's. With each acquisition the companies were moved under one roof in the White Plains, NY facility. Today Smith & Warren® is investing heavily in engineering and the application of modern manufacturing technology. Smith & Warren® Badge Company is the most technologically advanced manufacturer of metal public safety badges in the United States. Every badge is manufactured within 3 weeks in a highly efficient 27,000 square foot facility located in White Plains, NY.